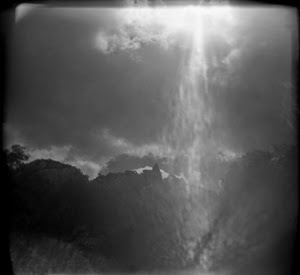 "Sun rain" - the flare becomes the image, and the image forces itself into me in such a way that I cannot resist. Thank you so much, George! Welcome to this part of my world. Pouring sun. The perfect title. Although "sunburst" might have worked as well. It's like a waterfall is coming from 1 cloud! Very cool!